Need a quick, fresh, healthy AND delicious lunch, snack or dinner you can grab to go? 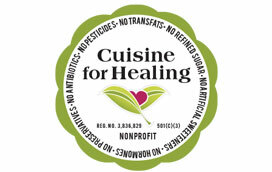 Try Cuisine for Healing’s Meals to Go, the Reader’s Pick winner of the 2016 & 2017 Best of Fort Worth in the “Grab n’ Go” meals category. Stop by our office Monday-Thursday between 9am – 5pm Friday 9am-2pm at 1614 Mistletoe Blvd. in Fort Worth and purchase a meal to go. Better yet, call ahead at 817.921.2377, and we will hold one for you. We have new selections each week. Get them before they’re gone!